As some of you will know, not too long ago I went on my honeymoon to Italy for 2 weeks. It was inevitable that I was going to make some purchases, though I didn't go too crazy as a) most of my spending money was set aside for activities, eating out and transport (we hired a car and travelled from south to north, so had fuel, parking and motorway tolls to pay) and b) there just wasn't enough space to bring lots extra home! Especially when we also bought back 5 bottles of red wine, two big bottles of extra virgin olive oil and lots of sweets!! My first purchases were from KIKO, which is an Italian brand, although it is available in the UK. However I'd never been to a stand alone shop before and to be honest I was a little overwhelmed by how many products they have; I wish I'd done a bit more research first. In the end I bought the Long Lasting Stick Eyeshadow in 05 Rosy Brown, as it always seem to be out of stock on the UK website. This is meant to be a dupe for the By Terry Ombre Blackstar in Misty Rock and is a beautiful taupe brown with a pink undertone. I also went for two of their Nail Lacquers, which are perfect autumnal shades - 317 Dark Antique Pink and what I believe is 510 Mauve Grey (unfortunately the number has rubbed off). I have only worn 317 Dark Antique Pink so far, but the formula dried quickly and only took two coats to become fully opaque. I was also extremely excited to visit my first Sephora in Rome. They had brands like Benefit, Chanel and Too Faced, a huge number of perfumes and Sephora's own brand of makeup, skincare and bodycare. I didn't think to take any body lotion with me and the weather meant my skin was in need of nourishment, so I reached for the Sephora Head to Toe Hydrator, which can be used on the face, body, hands and hair. I've only used it on my body so far, but it's extremely softening and moisturising, but without being heavy on the skin. Unfortunately it no longer seems to be on the Sephora website - it would be a shame if it's been discontinued! I also allowed myself to indulge in my lip balm obsession by buying the Sephora Kiss Me Balm in Cotton Candy, which I've since discovered is a new and limited edition product. I adore the egg shape and I like the fact it's tinted, with Cotton Candy being a pretty, light toned pink. The colour payoff is much better than I expected and the formula is moisturising, though it probably won't be enough in the frosty, bitter cold. Finally from Sephora I bought their Outrageous Curl - Dramatic Volume and Curl Mascara in Black. 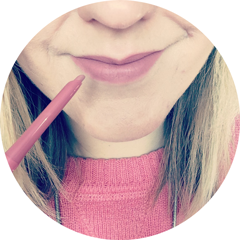 It has a tiny, hairbrush shaped brush with diagonally pointing bristles, which works really well at grabbing every single lash and lifting them in the process. But the formula is too wet and it transfers really badly - bottom lashes are a no go and even just on the top lashes I'm wiping away smudges every few hours. Now it's sat in a drawer unloved, such a shame. Lastly was a bit of a feeling spendy purchase - some Ralph Lauren sunglasses. I always buy cheap ones from Accessorize or Dorothy Perkins that need replacing every year, but these should last me for years (if they're not on my face they will stay in their case at all times!!). I've found that this shape, with a soft angle in the corner and rounded at the bottom, seems to suit me best and the classic Ray-Ban aviator style I love never will, no matter how many I try on! The frame and arms are black, with a small silver Ralph embossing on each side, so simple and classic. I'm really glad I decided to invest in these - hurry up summer 2016! What were your holiday purchases this year? Nice Honeymoon haul, love the sunglasses! I felt exactly the same when I went in my brand new local Kiko store for the first time. It's not the biggest store but there's just so much stuff in there it is overwhelming. I think I need to read some more KIKO reviews before heading to another one! Great Haul! 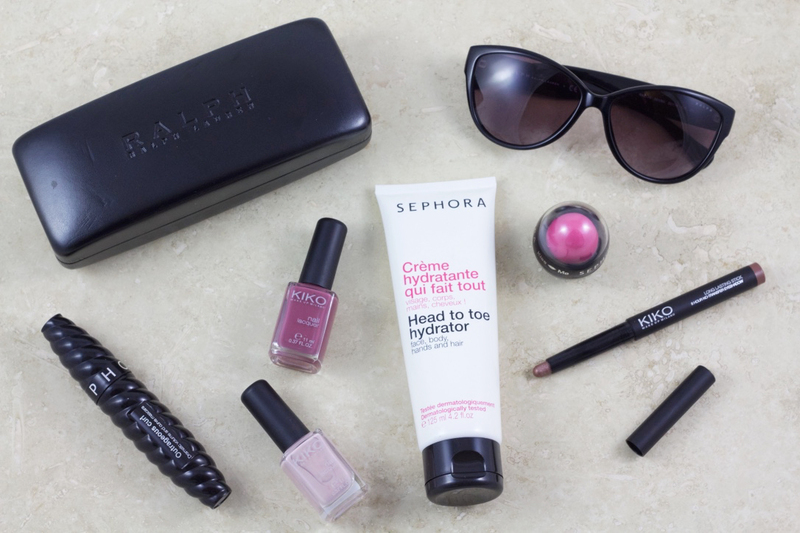 - I love everything I have tried from Sephoras own range - would love to try more! I think I would've went a bit crazy in Sephora! LOVE those sunnies. Love the colour of the kiko eyeshadow. Really want to try some of their products. Hope the honeymoon was great. I really wanted to do this type of holiday. Would be interested in a post on it :).